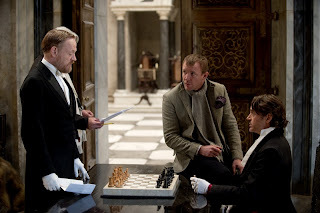 A visually stunning, witty and cleverly plotted fare, the original Sherlock Holmes stood tall as one of the finest films of 2009 and it's no wonder two years later a sequel has popped up in the form of Sherlock Holmes: A Game of Shadows. 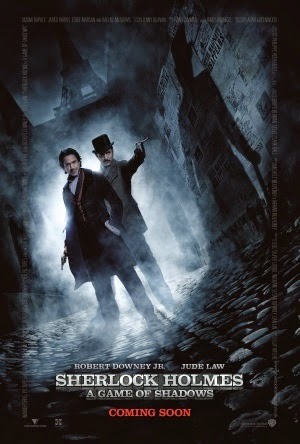 Now, the bold detective (Robert Downey Jr.) and his sidekick Watson (Jude Law) must conquer the scheming Professor Moriarty (Jared Harris) and overthrow his sadistic plans for global war. At just over two hours, the film is far from short and whilst it can feel a bit dragged out it generally uses it's time wisely. Action packed set pieces include a high octane fight scene on a speeding express train and an exhilarating forest chase; stylistic camerawork and editing really add to the intensity and enjoyment of these scenes, making the film all the more fun to watch. But when it comes down to the story the film is not at all a mish mash of action scenes. With a brand new villain, Professor Moriarty (well, new for these films), a clever and slowly unravelling story is constructed and flows nicely. There's a few twists and some well thought out explanations of character motives and, as you'd expect, the always entertaining deductions of a crime scene by our two protagonists; all this ensures that the story fits together nicely, like a perfect puzzle. 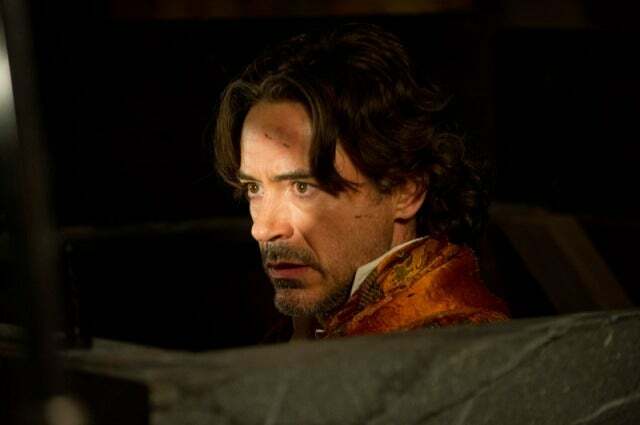 Robert Downey Jr. reprises his role as the eponymous hero with sheer excellence; his performance is funny, witty and extremely convincing, making the character not only lovable but extremely enjoyable to watch in whatever situation. Jude Law is another fantastic member of the cast, delivering the same level of humour and intelligence to his character as before; the two protagonists also share a delightfully funny chemistry together. Our antagonist, James Moriarty, is played brilliantly by Jared Harris; though he's not fully developed into a villain as seemingly frightening as Lord Blackwood, he still manages to come across as sadistic and intelligent with an appealing finesse. Fans of the original 2009 Sherlock Holmes will lap this film up in an instant; it's hard to decide which is superior as they both share a similar level of humour, wit and an equally clever plot. But rest assured, anyone who enjoyed the original should adore this sequel, and likewise anyone who didn't like the original may not find much to please them here.